Folahan Ayoola, MD at Weight Loss Specialists of North Texas believes that weight loss surgery is not a “one size fits all” proposition. The first step toward a truly individualized weight loss plan is taking the time to know his patients and to understand their weight loss experiences and goals, then teaching them about their options. Dr. Ayoola’s goal is to get everyone’s BMI under 30 through diet, medication, Surgical or non-surgical procedures. His services are available in three convenient locations: Denton, Frisco, and Flower Mound, Texas. Dr. Ayoola received his Doctor of Medicine from the University of Texas Southwestern Medical Center in Dallas, then completed his residency and bariatric and minimally-invasive surgical fellowship at Virginia Commonwealth University in Richmond, Virginia. He uses minimally-invasive techniques whenever possible - even for complex cases - to ensure faster and less painful recovery from bariatric surgeries. While completing his residency training, Dr. Ayoola received the I.A. Bigger award, which is the highest honor bestowed to surgical residents. It's a testament to his integrity, leadership, teaching, and clinical ability. 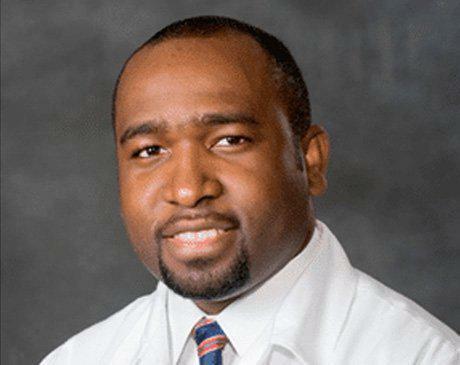 Dr. Ayoola is the Medical Director of Bariatric Surgery at Texas Health Presbyterian Hospital Flower Mound. He led the program to its certification as a Center of Excellence within a year from its inception. His affiliations include the American Society of Metabolic and Bariatric Surgery, the American College of Surgeons, and Texas Association of Bariatric Surgeons.